The construction of an oil pipeline across North Dakota’s Native American tribal land of Lake Oahe “will not go forward at this time”, according to a press release from the Department of Justice, Department of the Army and Department of Interior. In a joint statement between the Department of Justice, Department of the Army and Department of Interior on Friday, the three offices of the United States government intervened in the Dakota Access pipeline fiasco. One federal judge had already failed to appeased the community, only upholding the decision to construct. However, the federal government said that it needs to evaluate “previous decisions” regarding the construction and that, in the meantime, all construction will be halted. 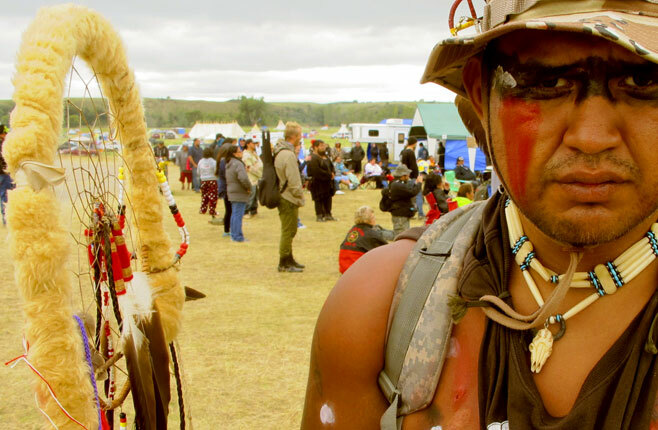 This hails as a victory for the scores of protesters who visited the site to show their support of the Standing Rock Sioux tribe of North Dakota, whose lawsuit against the Corps of Engineers is responsible for today’s decision to halt construction. The tribe says that the Corps of Engineers failed to adequately consult it before granting permits that allowed construction of the pipeline that began earlier this summer about a half mile north of the tribe’s reservation in North Dakota. What’s more is that the pipeline could actually hurt the drinking water supply, yet the Dakota Access company said that it followed standard procedure and no harm has been intended. One of the main issues regarding constructions like Dakota Access is that the corporations responsible for the constructions are using the often slow legal process to their advantage, continuing construction while lawsuits are in play, until ordered by a judge to cease construction either temporarily or permanently. This gives the corporation an advantage, where so much construction could have already taken place. At the same time, it doesn’t change the fact that there is a moral question at hand that is being ignored by corporate greed.